Here is another comic that was originally done for my dad, to be used in some bakery-related advertising. Normally his weekly ads for the bakery included some sort of story, and while they were very popular (he got a discount on his ads because they were more popular than some of the paper's columns) it was pretty hard coming up with a new story each week. So I gave him a break, for a few weeks, by creating some comics he could put in instead. 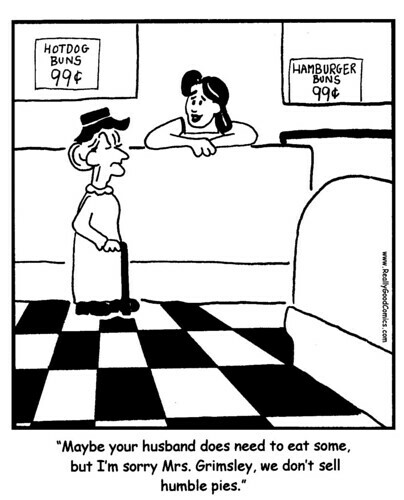 In addition to the joke this one had the subliminal insertion of a couple of ads - hamburger and hotdog buns were on sale for only 99 cents that week!